Emergencies can occur at any time, without warning. 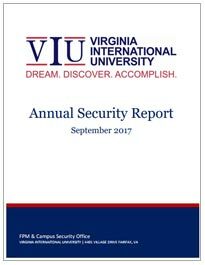 The Office of Emergency Preparedness at Virginia International University implements programs and projects in emergency and disaster planning, training, mitigation, response, and recovery. Careful planning, with an emphasis on safety, can help members of the VIU community handle crises and emergencies with appropriate responses and may save lives. Every member of the VIU community shares responsibility for emergency preparedness. 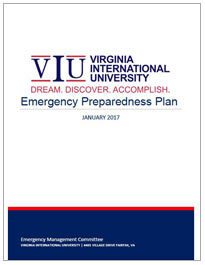 The VIU Emergency Preparedness Plan establishes an emergency leadership structure, defines responsibilities and roles, and is written in accordance with the Emergency Preparedness Planning Policy of our institution. This plan has been developed to ensure university preparedness in response, business continuity, and recovery for the entire campus.